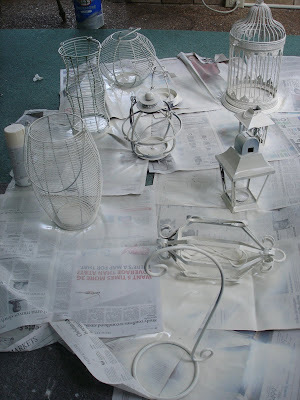 getting all the lanterns i have collected ready for the big day!! just the girls... Pier One shower! !